For a powerfully quiet clean every time, you’ll love the Electrolux Silent Performer Multicyclonic. 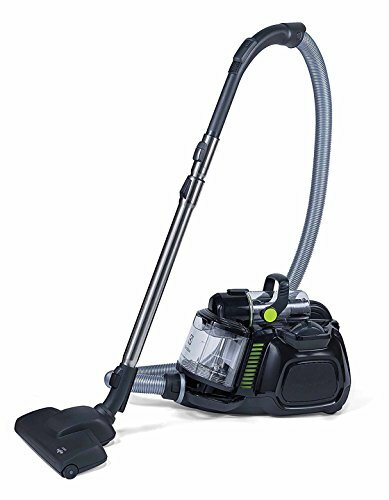 The vacuum’s canister, motor and sound-softening nozzle together create its Silence Pro System, which provides powerful cleaning performance with minimal noise and disruption. Clean every hard-to-reach area throughout your home with ease using its convenient 3-in-1 crevice tool, dusting brush and upholstery nozzle. Enjoy a fresher home with this vacuum’s Clean-Air Filtration System, featuring a HEPA filter that captures 99.97% of all airborne pollutants 0.3 micron or larger so you can breathe easier. You’ll love how easily the Silent Performer Multicyclonic’ s dual nozzles move from bare floors to carpeting for powerful multi surface cleaning throughout your home.